All about my experiences on online shopping, my online investment, games (sometimes) and whatnot. Drop me, drop me! As an old FarmOner, I read a lot of the same questions asked on the forum. So I decided to summarize those frequently asked questions here to help others understand and ease the pain of scrolling all the forum posts to look for the answer. 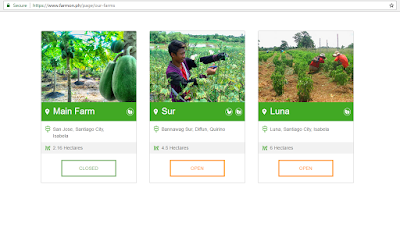 - Based on their 'About Us' page, "FarmOn.ph is a crowdfunding community where people can help farmers on their financial needs and at the same time reap rewards for their contributions. 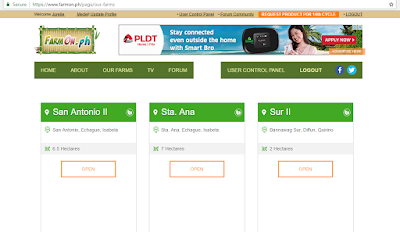 FarmOn.ph was developed by Sproads, a web publishing company based in Manila." In simple terms, you (a FarmOner) invest money on a crop and a real farmer will plant it and take care of it until harvest time. Upon harvest, their agent will sell the crop and the proceeds will be divided unto you, the agent, and FarmOn. As of the latest cycle, FarmOn has required new registrants to include in their registration their referrer's email. (You'll know the reason as we proceed with the questions.) And the Referrer receives 1% of their referral's profit. 2. How do I register? - Most people gets confused because as they hover thru the "Join Now" button, two choices appears. One is 'Join Now as Virtual Farmer', and the other is 'Join as Forum Contributor'. 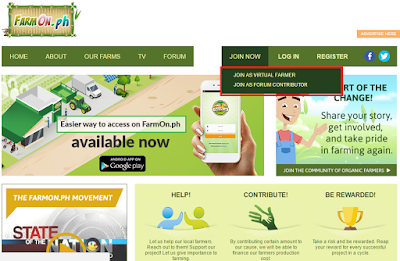 If you intend to invest on their crops, you must register as a Virtual Farmer. But the registration for it only opens with their new cycle. As of now, they are open for the 14th cycle so new registrants can access the registration page right now. A question from the forum: Can I use international number in the form? A question from the forum: How can I change my email address? 3. I can't register. It requires me to fill up the "Referred By". What should I do? 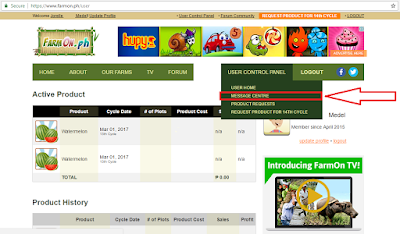 - Previous cycles doesn't require a referrer for the new registrants. But as the demand increases, a lot of hopefuls want to register. A lot of questions are being asked to FarmOn mostly from newbies who is lazy to read forums and asking the same questions again and again. "How to do this?" "Why is it like that?" 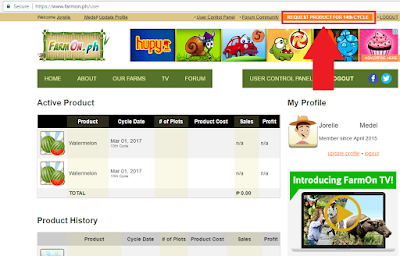 In the forums, a lot of farmOners are posting their email addresses for the new registrants. But I suggest you contact them first before using their email addresses as there is a referral limit of 30 per referrer. If they reached that limit, I still am not sure what happens to those who used that farmOner's email. I wonder if registrants were able to register using that email even though that referrer has already reached the limit. If so, I think the referrer might not be able to confirm that referral since a farmOner can only have 30 referrals. 4. 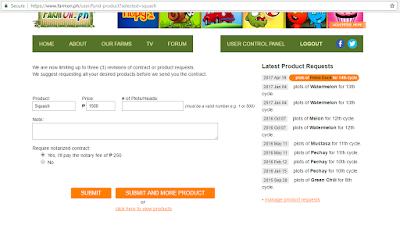 I've registered successfully but I can't request for products, why? - Since a Referrer is now required for the new registrants, your referrer must confirm you first to FarmOn by calling their given contact number. 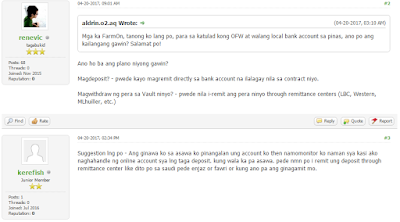 The only means to confirm their referral as of now is by calling FarmOn, be it local or overseas (as per what I read in the forum). After your referrer has contacted them, your account will be under assessment and will wait for around 3-5 days to be able to request for a product. Just check your account from to time to time to see if your account has already been confirmed. Was not confirmed by your referrer? 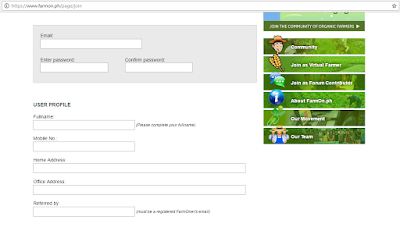 - Look for a new referrer who can confirm you and then change your referrer by contacting FarmOn (call them). Or just register a new account and use your new referrer's email. 5. My account has already been confirmed. How can I request for a product? - You can request product by logging in to your FarmOn account and clicking the "Request Product for __th cycle" at the top right of you screen. I just cleared some of my info. Tee hee! 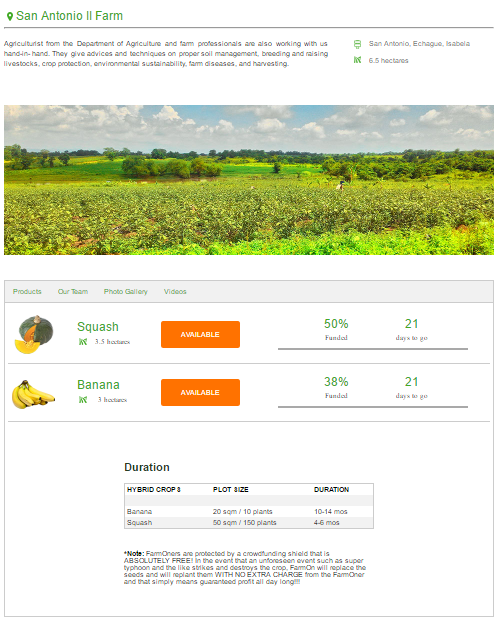 Upon clicking that, you'll be redirected to FarmOn's "Our Farms" page where you can check out every farm and choose crops where you want to invest in to. 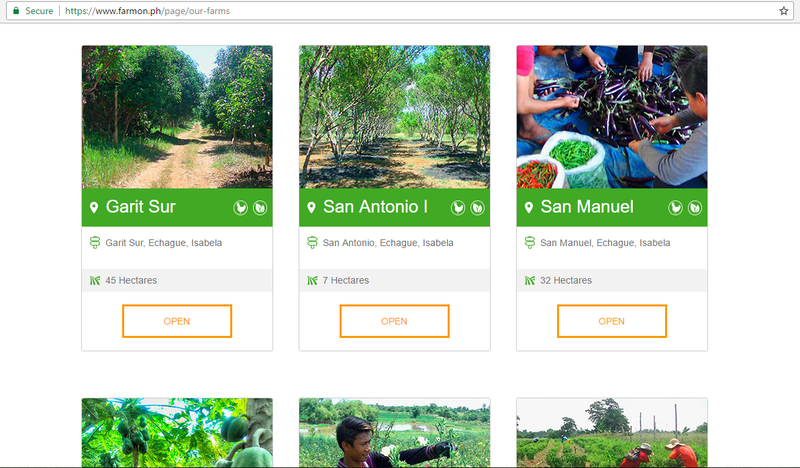 Every farm offers a variety of crops. 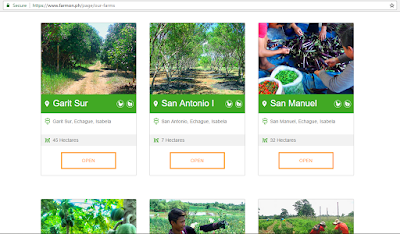 Some of the crops might not be available for the current cycle because the crops from the previous cycle may have not been harvested yet. Especially the long term ones. Just choose which one you would like to invest to and click the "Available" button. 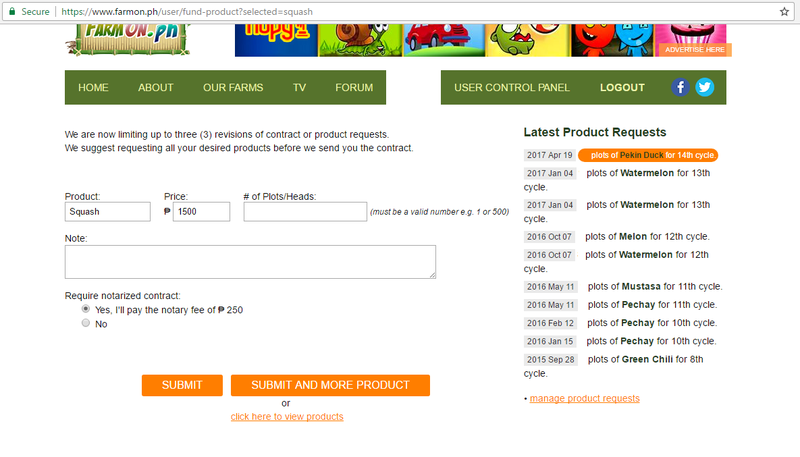 You'll be redirected to the Submit page as shown below and just fill up the form. Once you are done submitting your product requests, just wait for your contract to be sent to your message centre. Once you receive your contract, print it and Read carefully the detail of your contract. If you have no further corrections to it, you can pay the amount stated in your contract thru the payment methods stated in it also. Sign at the bottom of your contract, scan it and send it back to FarmOn (together with your proof of payment) by replying to where they sent your contract. Then just wait for their acknowledgement receipt. They will give you a date on when your investment will reflect on your account. If they tell you to wait within the month of May for your investment to appear, then you must allot the whole month of May, meaning until May 31 for your investment to reflect on your account. If the month they stated has already passed and your investment hasn't appeared yet, then that's the time you contact FarmOn about that. 6. Can I pay on a later time? - As stated on my previous contract (13th cycle), farmOners are given 3 banking days upon receipt of the invoice statement (contract), to pay for the amount. 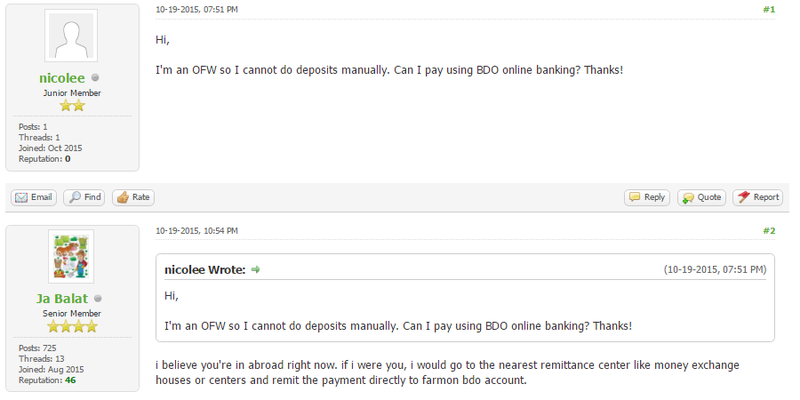 Some ask for a later time to pay their amount but I am not sure if FarmOn still tolerates those who ask for extension. 7. 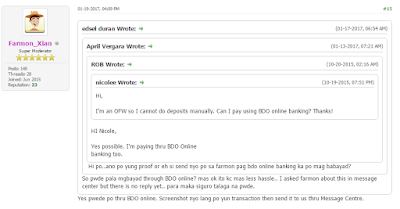 I am an OFW, how can I pay my investment? 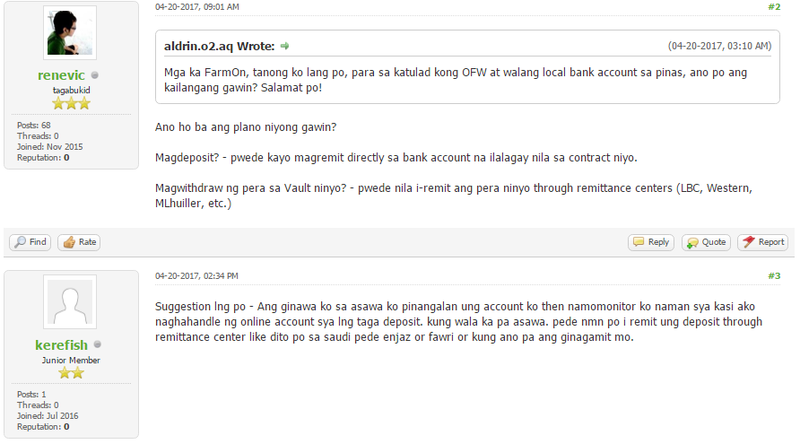 - I am not an OFW, but based on what others shared on FarmOn's forum, there are some ways you can pay your amount due. I just took screenshots of the questions and answers of our fellow FarmOners. 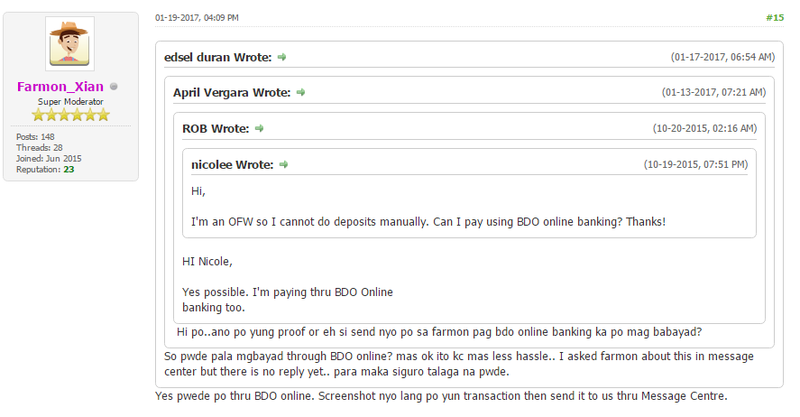 Just send your proof of payment in the Message Centre. You can do so by scanning or taking a photo of your payment if it is in paper, or taking a screenshot of the transaction if it is done thru online payment. I made a post after FarmOn's website came back up and running, and shared some of my observations about changes on their website here. And new registrants are not required anymore to have a referrer upon registration. Also, the referral system will be completely gone after 5 cycles starting from the 15th cycle. 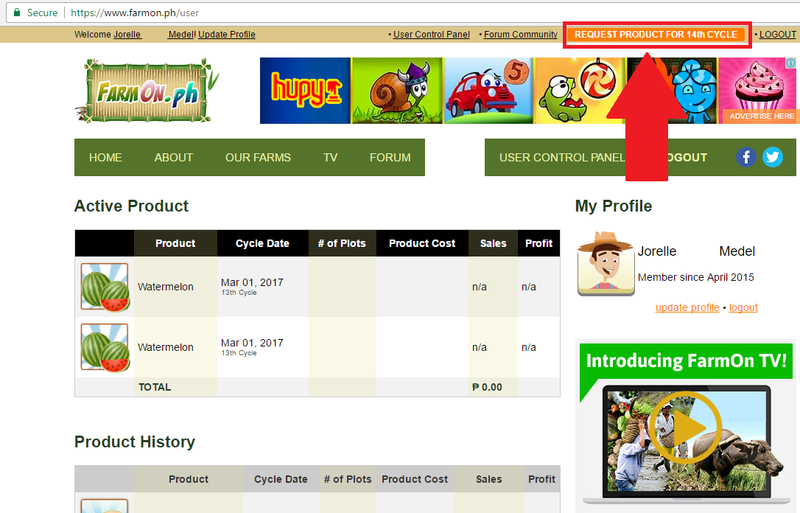 So most probably sa ika-20th cycle ay mawawala na sa ating profile ang ating mga referrals. I post mostly about VA Bootcamp and FarmOn. 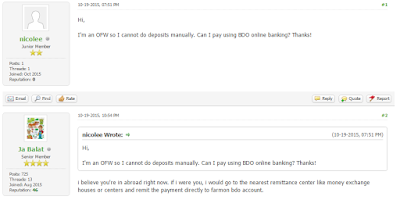 Occasionally about ClixSense, MarketGlory, OurWorld and GCash and other stuff that I want to post. Oh, and in improving my site too. I share what I know, and I search what I want to know. :) And I love potatoes. Hi po. pwede po ba na kumuha ng is a pang contract? halimbawa may contract na ako sa isang lot ng papaya gas nabayaran ko na. tas may extra pera ako at gusto ko pa bumili ng 2 lots ng papaya. pwede po ba ang ganuon? Base sa nakasaad sa contract na na-receive ko this 17th cycle: "once [you] received your contract, requests for another investment for that cycle will not be entertained." Kung iniimplement ito ni FarmOn strictly, hindi na po makakapagdagdag ng investment for that cycle especially bayad na rin po yung inyo. But para makasigurado din po kayo, much better kung i-message niyo po si FarmOn, either sa Message Centre or sa Facebook page nila (I prefer sa FB page nila), or pwede nyo rin po silang tawagan for immediate response from them. Food For the Soul: His parables are a reminder of what we lack and somewhat a reflection of what we do. 2018. Theme images by Airyelf. Powered by Blogger.